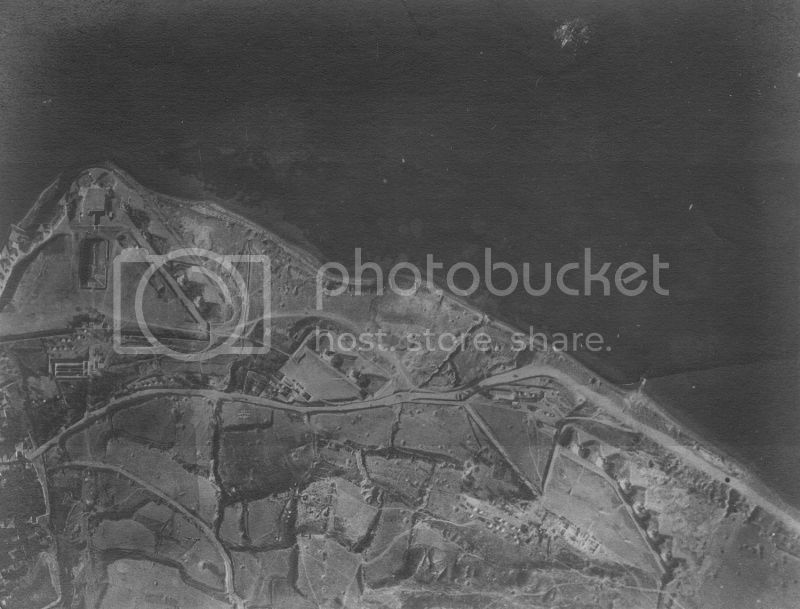 I'm preparing an article on the aerial aspects of the Dardanelles campaign and have been in touch with a chap in the UK who has agreed to allow me to use images in his possession for my article. He has also given permission to post them here for general viewing, although I'm posting only a few since the others will appear in the article I'm writing. These images belong to Trevor Lee and have never appeared in print before. They were most likely taken by Flt Lt C.H. Butler of 3 Sqn RNAS whilst based on the island of Tenedos (the unit, renamed No.3 Wing later moved to the island of Imbros to an airfield near Kephalo Bay, where the combined fleet sought harbour), who had his own hand held German camera, which he used to take images in support of both the naval action in the Dardanelles and over Gallipoli peninsula in advance of the amphibious landings. They were used, not only strategically to determine the disposition of Turkish forces, but also in aid of addressing inaccuracies in Allied maps of the region and tactically as post raid reconnaissance after bombardment of forts by naval vessels. 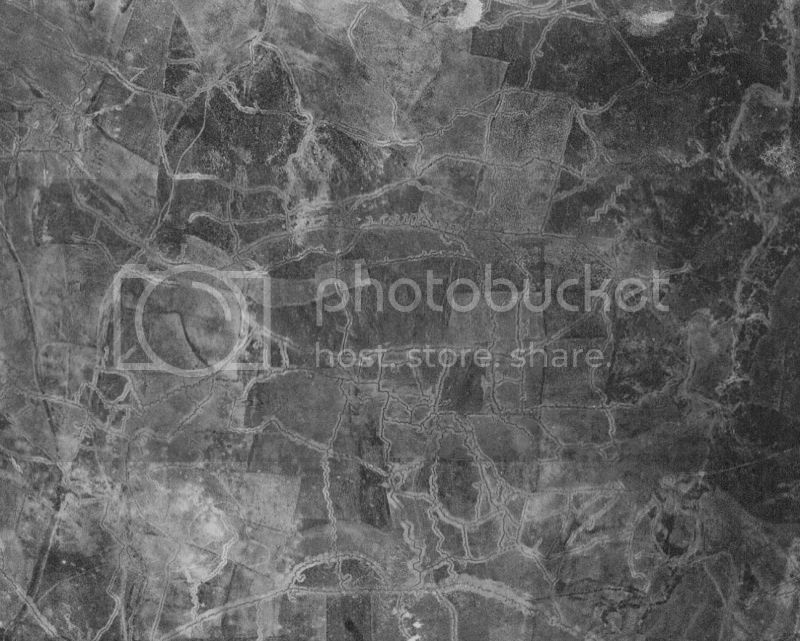 The campaign and these images were pioneering photo reconnaissance work; the campaign was only the second where aerial images were used in support of a major military offensive, the first being Neuve Chapelle in March 1915. This is by far the best of the images and shows Sedulbahir Fort located at Cape Helles, on the southern tip of the Gallipoli peninsula at the entrance to the Dardanelles. 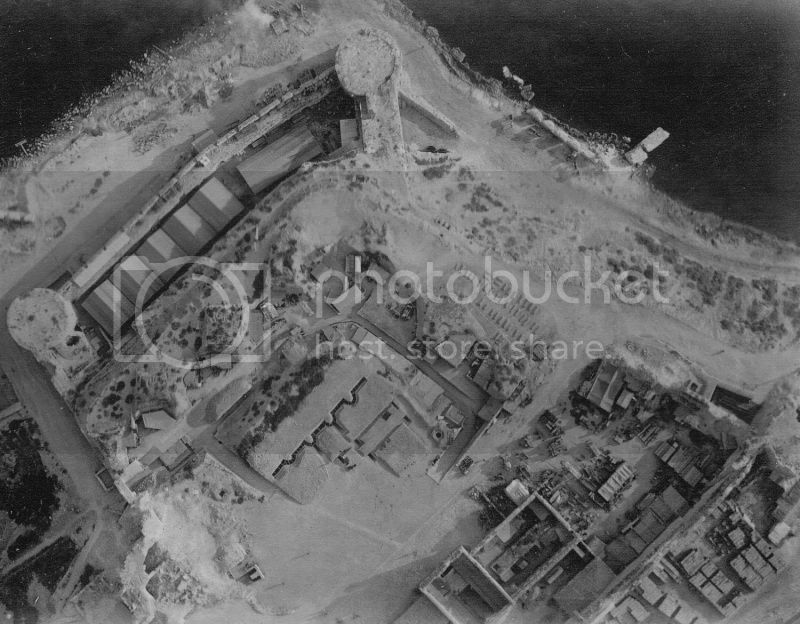 This fort was pounded by naval guns and much of what is visible in this image was destroyed, although to this day, the angled outer wall and the circular turret at left still survive. This image shows Namazgah fort post bombardment; you can see pock marks where the area has been shelled. This fort is located north east of Cape Helles on the Gallipoli peninsula, directly opposite the strait from Chanak (the city of Canakkale today). It survives as a tourist attraction and can be visited by catching a ferry from Canakkale. Next to it is historic Kilitbahir castle, although it is not in this image, being located to the left of the triangular fortifications. This image shows Turkish trenches at Gully Ravine to the east of Cape Helles, where the British troops made their amphibious landing on 25 April 1915. it is located to the south of Anzac Cove. No problem. I was gobsmacked when I saw these. Trevor has been posting them on different forums for comment since he was not sure of the locations. Their clarity is astounding considering they were made with a hand held camera. Although the images were likely taken by Butler, since there weren't too many other photographic recon assets in the region, they might have been taken by members of the French unit MF.98T, which had a hand full of Farmans, but set up at Imbros with a photographic lab and cameras, which 3 Sqn borrowed for its purposes. Great! Where will the article be published? New Zealand Aviation News. So far its a two part piece, but is likely to become a three parter since the subject matter just keeps getting bigger. John (Sir Editor) has said that he wants the last part published around April next year for obvious reasons. As a prequel I had an article on the Sopwith Tabloid published in the August issue; Tabloids and Schneider floatplanes, so named after the Schneider Trophy winning Tabloid were used for gunnery spotting during the campaign by 3 Sqn and from the seaplane carrier Ben-my-Chree. Those are fantastic photos, I look forward to reading the articles. Recently I have received a number of images for use in my article from a collection of a chap who was with the RNAS at Imbros. I don't want to publish them here just yet, but I also have use of this particular image, which is my favourite picture right at the moment; it is originally an IWM image. 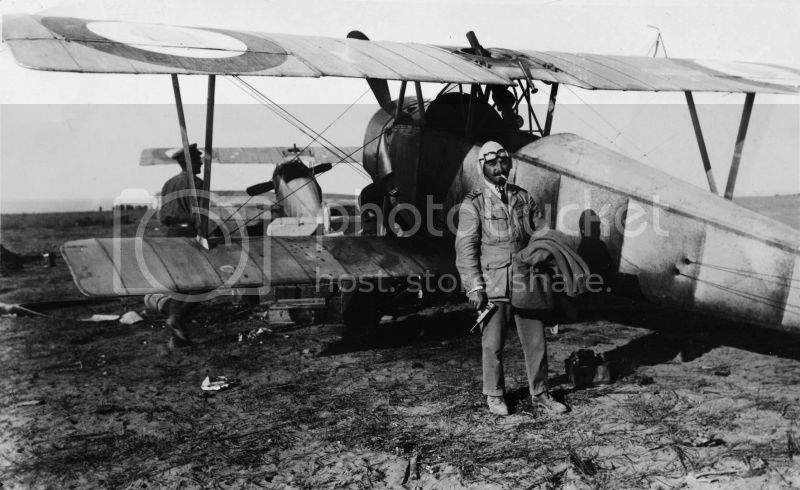 It shows 3 Sqn RNAS squadron leader Sqn Cdr Charles Rumney Samson clutching a pistol and standing next to a Nieuport 10 aeroplane, his favourite at Imbros. The Nieuport 10s were two seaters, but in the Dardanelles were flown as single seaters because of the climate, which reduced the aircraft's performance considerably. Rotary radials in particular suffered over there; time between overhaul fell to 20 hours in some instances. Samson is one of the great RNAS pioneers; he was the first to fly an aeroplane from a moving warship; a Short S.38 from a platform mounted on the foc'sle of the battleship HMS Hibernia on 9 May 1912 (during that year he also served aboard HMS Philomel). After the Dardanelles campaign, he became commander of the seaplane tender HMS Ben-my-Chree, then he received command of the seaplane station at Yarmouth, where he conceived the idea of placing aircraft on lighters towed behind warships for launching Zeppelin intercepting aeroplanes. He was extraordinarily courageous and did the testing of this idea himself. In August 1918, Lt Stuart Culley in a Sopwith 2F1 Camel (which survives at IWM) shot down the Zeppelin L 53 after launch from one of these platforms. "Recently I have received a number of images for use in my article from a collection of a chap who was with the RNAS at Imbros." Not just any chap, but Christchurch-born Bill Angus who prior to the war co-built and flew a Chanute-type glider with George Bolt. Full details may be found in the second volume of my 'A Passion For Flight'. Bill allowed me to copy his album of photos when I taped him back in the 1970s. A set of same was passed on to Cross & Cockade International during one of my UK visits in the 1980s, but strangely none have ever appeared in the society's journal! Among his duties at Imbros was attending to the engine of 'Sammy' Samson's machine. Although not trained as observer, Bill also flew as one on occasion. Errol, I've asked you for information about Angus before, but you have so far not been of any assistance. I cannot wait for your book on New Zealand airmen in the Great war to be published, so my knowledge of Bill's Dardanelles service still remains scant. I have dedicated one sentence to him in my article as a result, but I suspect he deserves more. I was not informed of where the images came from and they are being credited to their supplier. The Samson image I posted is an Imperial War Museum one. Could you at least tell me Angus' rank when he served with the RNAS at Imbros? That's strange, I know that I replied to this at the time but it seems to have disappeared into cyberspace. Bill Angus's rank was that of driver at the time. He was a motor mechanic in pre-war civilian life. Nuumann, do you have the book "Gallipoli Air War" by Hugh Dolan? I haven't yet read it but it is coming up the pile. Dolan is an Australian so we might get a bit of a mention. I've just had a look at the photos in the book and the photograph of Sedd El Bahr Fort you posted is in it. Hugh Dolan is a pom not a ozzie, went to Oxford Uni served in the British Army in Bosnia, and his nickname when he was at RAAF OTS as one of the DS staff the ADG's nicknamed him the hobbit. Having had the pleasure to work along side him when I was base in Melbourne, he was really nice gentleman a true soldier/ officer, scholar and adventurer. 36 Days "The Untold Story Behind the Gallipoli Landings"
Gallipoli from above "The untold story"
I have long wondered who the kiwi pilot was that flew in the Mediterranean with the RNAS who's stories were detailed in Contact magazine in the 1940's, when he was then in the RNZAF. They only referred to him as "Old Timer". Does anyone know who he was? This was Les Brake. See page 47 of my Swift to the Sky for an account of the time he was bombed from in the air while serving in the Med. Thanks Errol, I've sent you an email. Nuumann, do you have the book "Gallipoli Air War" by Hugh Dolan? I haven't yet read it but it is coming up the pile. I know of the book, but I haven't read it. I really would like to, if only to confirm that what I've written in my articles isn't lies! Regarding the pictures, I got in touch with the guy who posted them on the Gallipoli Association forum, Trevor Lee, as I mentioned, so presumably they've been around for awhile. I wasn't aware they were in Dolan's book as I haven't had the pleasure of looking at it yet. Oops, a wrong assumption on my part. The photos Grant refers to are from another, non-New Zealand source, not the Bill Angus collection. Damn. I was quietly hoping you were right, Errol; that would have been an excellent Kiwi connection. Are you near Auckland or Wellington? I live in Auckland but I will be In Wellington next weekend so could loan to you if you are not too far away from either city.